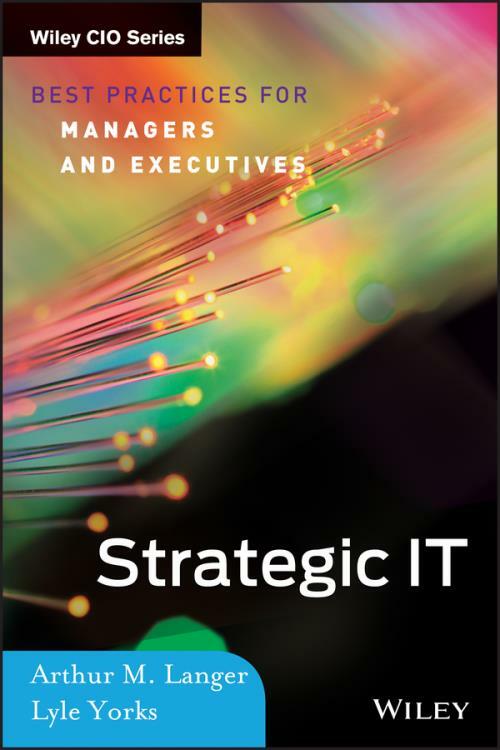 Written by Art Langer and Lyle Yorks, recognized authorities in the areas of technology management and leadership, Strategic IT: Best Practices for Managers and Executives includes cases, lessons learned, and best practices from CIOs at high–performing companies including BP, Prudential, Covance, Guardian, Merck, and others. Why should CIOs make technology an important part of business strategy? How is technology organizationally positioned as an effective strategic driver? What challenges are posed by various ways of positioning technology and what are the implications of how these challenges are resolved? What strategies are used by high–performing CIOs in addressing challenges and in strategically positioning technology? How will the new wave of disruptive technologies affect organizations? Defining best practices to implement and sustain strategic advocacy and success at the CIO level, Strategic IT helps you grow successfully in your CIO position from integration of technology as a business driver to developing a strategic mindset within the technology function.